Medicare is the health insurance that people dread to think about because of the complexities and lack of information available. Many, even those already on Medicare, do not know the rules or how it works. Once they sign up for Medicare, most think it’s a set-it-and-forget-it health insurance. But, premiums can increase, benefits can change, and medical needs can increase. It is for these reasons that it is important to understand Medicare before and after you sign up for it. This is article number one of a three-part series on Medicare. Open enrollment for certain parts of Medicare started on October 15th and now is as good a time as any to better understand Medicare. 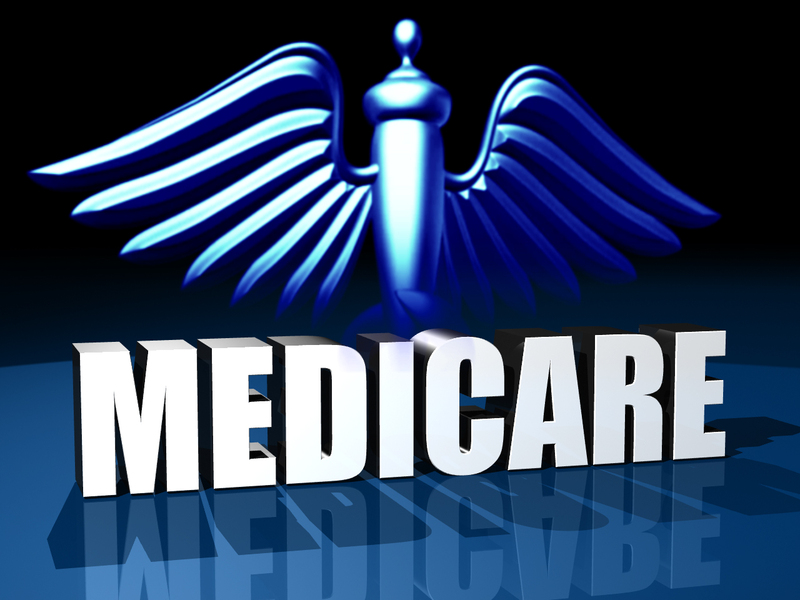 This article will address Basic Medicare (Part A and B). Our next article will go over Medicare Advantage Plans (also known as Part C) and Part D. The third and final article in this series will focus on the Medicare Supplement Plan (also known as Medigap). Medicare Part A is known as hospital insurance. It covers hospitalization, skilled nursing facility care, inpatient care in a skilled nursing facility, hospice care and home health care. Generally, it is available to people that are 65 years or older (as well as younger people with disabilities or end stage renal failure). Part A is premium free if you are 65 or older and you or your spouse have worked and paid Medicare taxes for a minimum of 10 years. Although Part A is premium free, that does not mean there’s no out-of-pocket expense. In 2018, there is a $1,340 deductible per “spell of illness”. A single “spell of illness” begins when the patient is admitted to a hospital or other covered facility, and ends when the patient has gone 60 days without being readmitted to a hospital or other facility. That means that if you need to be hospitalized, you must pay $1,340 out-of-pocket as a deductible and then Part A kicks in. If you pay $1,340 as a deductible, leave the hospital and come back in 3 months for a different reason, you would have to pay the deductible again. This surprises many people because they are used to the annual deductible reset, not the 60-day deductible reset. Another aspect of Part A that people find surprising is there is no maximum out-of-pocket expense. If you need skilled nursing care for home health care, you must pay the $1,340 deductible and then Medicare Part A will help pay for SOME of the costs, not all. Therefore, if you need Part A coverage for more than 100-150 days for hospitalization or skilled nursing care, you may have to pay the entire bill thereafter. This, of course, can lead to catastrophic healthcare expenses. We will discuss a potential solution in our upcoming articles. Medicare Part A is the first part of Basic Medicare. Because there is no premium, there is no reason why most people should not sign up for Medicare Part A three months prior to their 65th birthday. There is one specific exception…if you are working, covered by your employer’s high deductible healthcare plan AND contributing to your Health Savings Account. If this is the case then you should visit our office to speak with us to determine if it makes sense for you to sign up for Part A.
Medicare Part B is known as medical insurance. It helps covers services and supplies that are medically necessary for the diagnosis or treatment of a health condition. This includes outpatient services, at a hospital, doctor’s office, clinic, or other health facility. Medicare Part B also helps cover many preventive services to prevent illness or detect them at an early stage. Together, Medicare Part A and Part B are known as Original Medicare. Part B has the same eligibility as Part A – 65 years of age or older and you or your spouse have worked and paid Medicare taxes for a minimum of 10 years. Unlike Part A, Part B has a monthly premium and a yearly deductible. The monthly premium for 2018 starts at $134 amount and can increase if your gross income (which is your adjusted gross income plus tax-exempt interest) is above a certain amount. Higher premiums may also apply if you do not enroll in Medicare Part B when you were first eligible. The deductible for Part B is relatively low ($183 per year in 2018). Furthermore, Part B has a coinsurance of 80%. After the initial yearly deductible, Part B will pay for 80% of the “Medicare-approved amount”. This basically means Medicare says what something should cost. If a medical provider charges 120% of what Medicare says it should cost, you will have to pay for that extra 20% premium. In truth, Medicare Part B, on average, will only pay about 60% of these medical costs! Lastly, just like Part A, there is no limit on out-of-pocket expenses. For a variety of reasons, it does not always make sense for someone to sign up for Part B at age 65. If you are still employed with a company that has a minimum of 20 employees, or if your spouse is, you do not have to sign up for Medicare Part B. Instead, you can stay on the medical plan offered by your or your spouse’s employer. If you plan to do this, you should check with the benefits administrator to see how the plan works with Medicare. A good rule of thumb is when you hear that your work insurance is secondary to Medicare, it would be a good idea to apply for Part A and B at the very least. Enrollment for Medicare Part A and B is easy. Call Social Security at 800-772-1213 or go to the nearest Social Security office. Bring your photo identification (state issued ID or passport) and proof of your birth (birth certificate). You will also need proof of your marriage (marriage certificate) if you are applying for Medicare through your spouse’s work record. You can sign up for Medicare three months before your 65th birth month. For example, if you were born in July, you can apply for Medicare on April 1st for the benefits to start July 1st. We will cover Medicare Part C, D and Supplemental in our upcoming articles.